As you know well, Russia has its own procedures for registration of new medicines. One of those national features is registration clinical studies. Every drug product to be registered in Russia should pass local clinical study for its safety and efficacy (under GCP), unless its efficacy and safety had already been studied in multinational clinical study with participation of at least two centers in Russia. are not required only for very limited groups of medicines like locally confirmed orphan drugs (by separate regulatory procedure according to last amendment to the Drug Law in Russia since July 2015) or generic products having their full registered analogs on the Russian market for more than 20 years. require extensive clinical study program that includes local phase I, phase II and limited phase III (the latter two phases can be combined into one clinical study in some cases). imply either conduction of a bioequivalence clinical study on limited number of healthy volunteers (in some cases – patients) or therapeutic equivalence study depending on drug formulation and Russian MoH guidelines for bioequivalence studies. 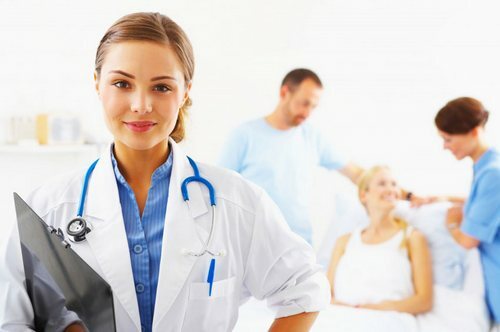 are typical: Clinical Study Protocol, Case Report Form template (CRF), Investigator Brochure, Patient information leaflet with Patient consent form as well as Life and Health Insurance for subjects in Russia should be prepared in Russian language according to MoH official guidelines and National GCP standard. And for any clinical study project one should get optimal balance between official Russian regulatory requirements, specifics and possibilities of the clinical centers and patients on the one hand, and your business focus, priorities and market forecast, on the other. Conduction of early phases of clinical studies in Russia is not very common since only limited number of clinical centers satisfy strict criteria for the early clinical stages. Nevertheless Pharegis provides to our clients full service managing Phase I and Phase II clinical studies. Also we have one of the biggest database on healthy volunteers in Russia who can meet criteria for entering those sophisticated studies for Phase I. Our department of clinical studies will deliver you full scope of services concerning Phase III clinical study projects in Russia - either participation of Russian centers in ongoing or planned Phase III clinical study or full scale multicenter clinical Phase III study in Russia. All technical questions like biological samples logistics, additional laboratory tests, pharmacokinetic and/or genetic lab tests and screening, preparation of patient-friendly electronic CRFs in local language and many more. Serious adverse events (SAE) and AE reporting according to GCP, international, local and sponsors' SOPs. Submission of clinical study report to MoH. Have direct communication with primary investigators and centers administration. Preparation of the clinical trial dossier is essential project since medical professional expertise, quality of medical writing as well as quality of professional translation are very important to both regulatory approval of clinical study and clear understanding of clinical study by investigators, study centers' administrative staff, laboratories, statisticians and data managers. MoH permissions for import and export of clinical study materials and more. Storage of clinical study biological materials and equipment. Destruction of materials according to GXP. Contact us to get fast and free calculation of clinical study budget and timeline. After signing of the Confidentiality Agreement and getting project information from you, our consultants will analyze your project in detail and provide you working solution with clear perspective of further steps for your clinical study project in Russia.